So you wake up at 4 am and remember that you left your socks drying on a rock up in the mountains yesterday. You had just hiked, took in some white water rafting and a bit of rock climbing so you were a bit forgetful. Are a couple of old socks worth the trip back through that rugged forest, over that swollen creek, down that dangerous gulley, and up that mountainside? NO! But you have this Jeep Trailhawk in the driveway and it thinks they are. Get rolling ya'll. Before some drifter takes off with your socks! Have fun and adventure everyday. Call or come by soon for a test drive. 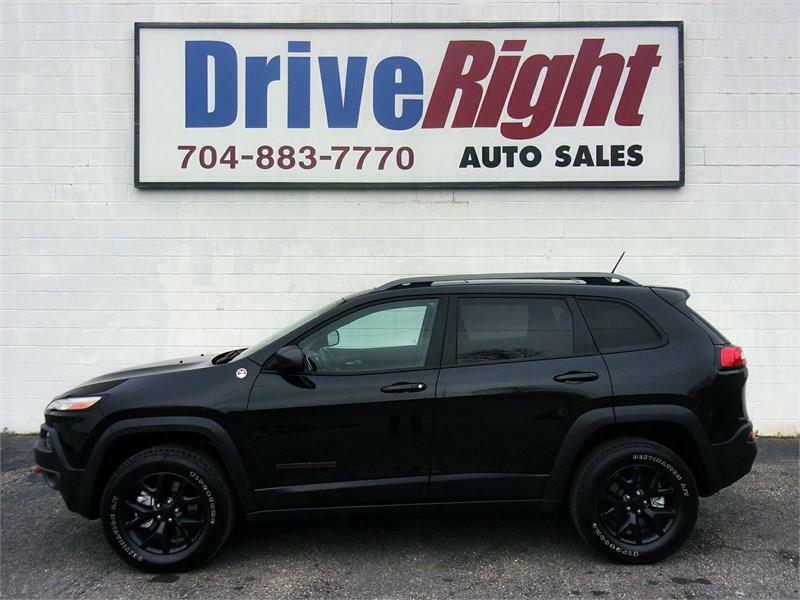 Visit Drive Right online at www.driverightonline.com to see more pictures of this vehicle or call us at 704-883-7770 today to schedule your test drive. Message: Thought you might be interested in this 2015 Jeep Cherokee.